Three major periods of OCD, four major depressions, three of the major depressions requiring electroconvulsive treatments (ECT), ten to fifteen major “burn-outs” (at least three to six weeks long), two total hallucinatory to full-psychosis events, periods of mania, delusions, paranoia, obvious stress and anxiety, two lock downs, two suicide attempts (one near death), six major hospitalizations (one week or longer), five emergency room visits, thousands of doctor visits, twenty direct and over one hundred indirect doctors, almost twenty different medications, one sleep research facility experience, and more. Because of the medication-induced side effects and sequelae (direct and indirect) mentioned and the original OCD, I believe I have insight into the following disorders: OCD, cyclothymic disorder, schizophrenia, anxiety disorder, anorexia nervosa, bulimia, body dysmorphic disorder (BDD), depression, major depression and dysthymia. My education in physiology and psychology, understanding of exercise physiology, nutrition, athletic training and broad coursework from medical school including coursework in pharmacology, anatomy-cadaver dissection, pathology, biochemistry, quantitative analysis, nutrition, physiology, neuroanatomy, embryology, genetics, endocrinology, microbiology, physical exam-history, microbiology, nutrition, molecular cell biology, all enabled me to analyze, elucidate, and create my theory, carry it out, succeed, document and pen this memoir-case history. My use of InfinitE / IQ, a combination of Community (removal of isolation, and a return to a social species), Stimulation (mental and physical exercise; stress in the right dose to invoke adaptations) and Clean Fuel (food and supplements of the right type and quantity) all designed to maximize biochemical and neurochemical balance, hormonal control and reach peak efficiency and life performance. That cure again has been close to a decade now. 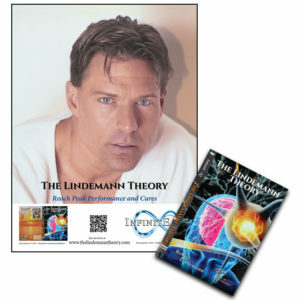 Buy my book, The Lindemann Theory TODAY! I was a high school teammate and friend but never really understood the journey Rob was in the midst of then or the decades following. With his book I now understand. His story goes from heartache to hope and despair to victory. It is a true story of perseverance and healing through loving community, science and faith. Rob’s story and his significant insights need to be heard. This book offers hope and understanding to those who suffer, their loved ones who suffer with them and the medical and healing community who seek to help them. 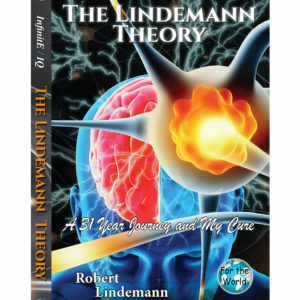 I find this book to be fascinating and have a riveting story – a page turner, coupled with real science and medical history. A must read in my opinion. A book for the masses. 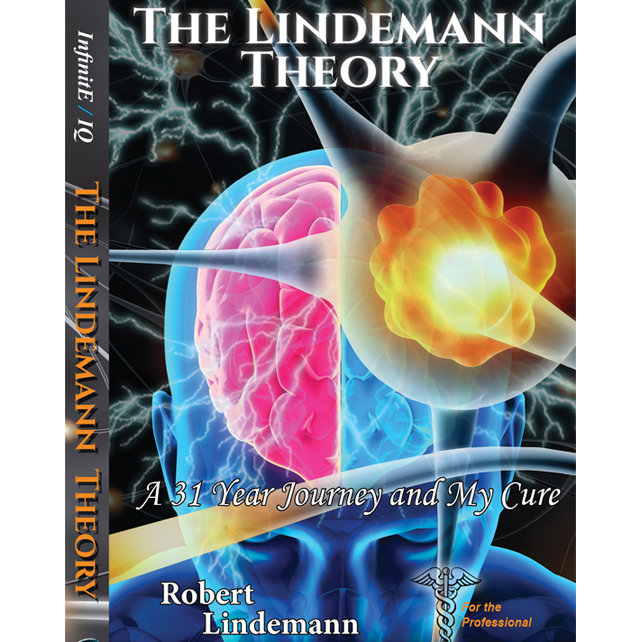 A book we all can find the summit to – only with your InfinitE/IQ ! Inspiring, brilliant, and incredibly accurate. How do I know? I am the author’s mother, and lived the journey and have enjoyed the fruits of his theory, and hope it helps others. At 92 years of age, the validity of InfinitE/IQ has and will continue to allow me to enjoy my grandchildren for years to come. Certainly if there was one doctor I would want as my physician it would be Robert; it is a shame his medical school will not allow him to resume his studies despite excellent academic achievement of those completed 2 years. 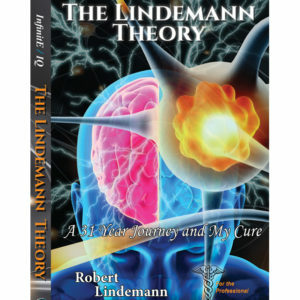 It is a book for all, and a book that I feel can reshape the treatment of the human psyche and physical. With pride 5+ stars, and a mothers testimony to facts, and the files to prove all. Fantastic Read! I just wanted to drop you a line as I ordered and just finished reading your book! Thank you for sharing your life and all you have overcome. I am thankful for your perseverance and YOUR cure! You have made me think very hard about many things, and have inspired me to make some changes now that I have the knowledge you shared.